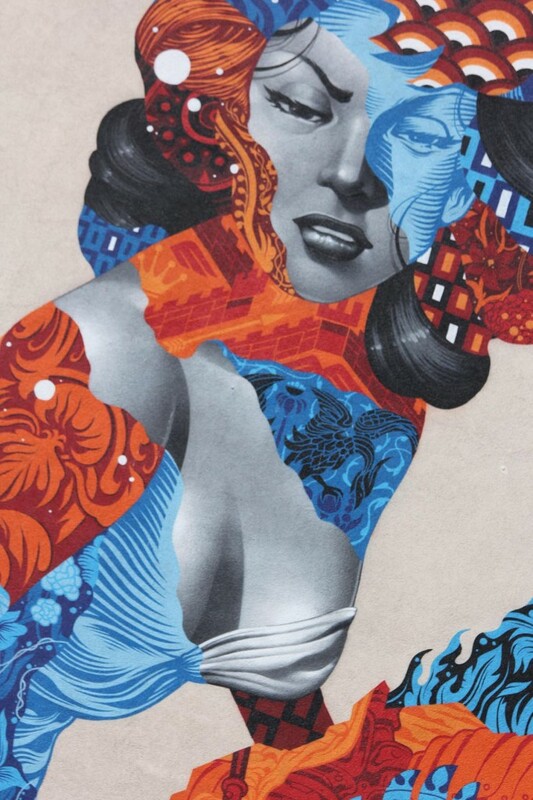 Looming over passersby and covering very nearly the whole side elevation of a residential building at Am Friedrichshain 33 in Prenzlauer Berg, Attack of the 50 Foot Socialite by LA artist, Tristan Eaton has to be one of Berlin’s most eye-catching street art murals. The 5-storey painting is Eaton’s interpretation of the iconic film posters for the 1950s science fiction film Attack of the 50 Foot Woman. 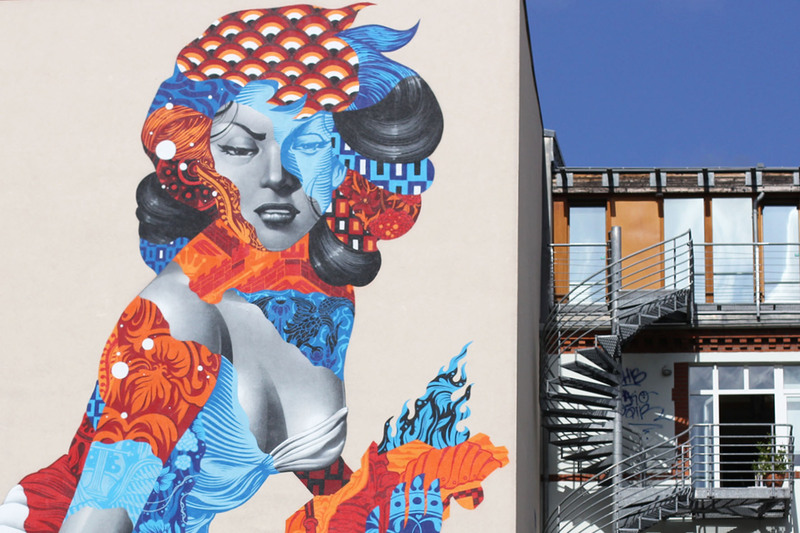 For ONE WALL, URBAN NATION invites national and international artists to the most diverse neighborhoods in Berlin. 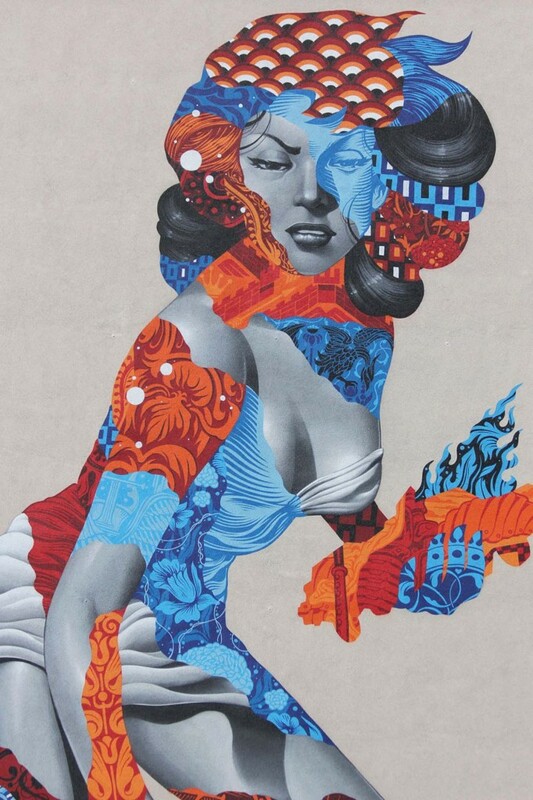 The urban artists reflect and interact with the unknown surroundings by means of their art. 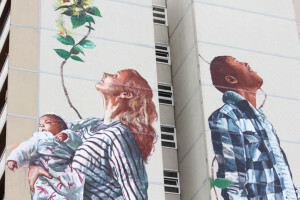 This way, a new mural is created five times a year. The aim is to enter into dialogue with the inhabitants of the neighborhood and support its development. 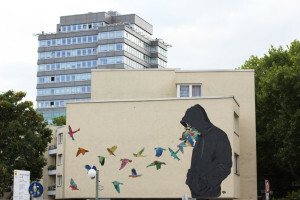 Shepard Fairey, Herakut and Fintan Magee are amongst the artists who have subsequently added their contributions to a scheme that is enhancing Berlin’s reputation as a city at the heart of an ever-popular street art scene. A quick examination of the photos I’ve taken of the piece on two separate visits a year apart (almost to the day) shows no discernible loss of vibrancy in the colours of the painting. 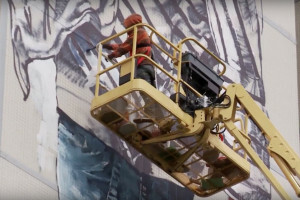 There are also no signs that other artists jealous of, or seeking to make the most of, the attention a mural of this scale inevitably attracts have tagged it. It would seem therefore that the greatest threat to the Attack of the 50 Foot Socialite is the whim of the owner of the building on which it is painted. I hope that it will continue to thrill, terrorise, or simply tower over, the pedestrians on Am Friedrichshain for years to come. 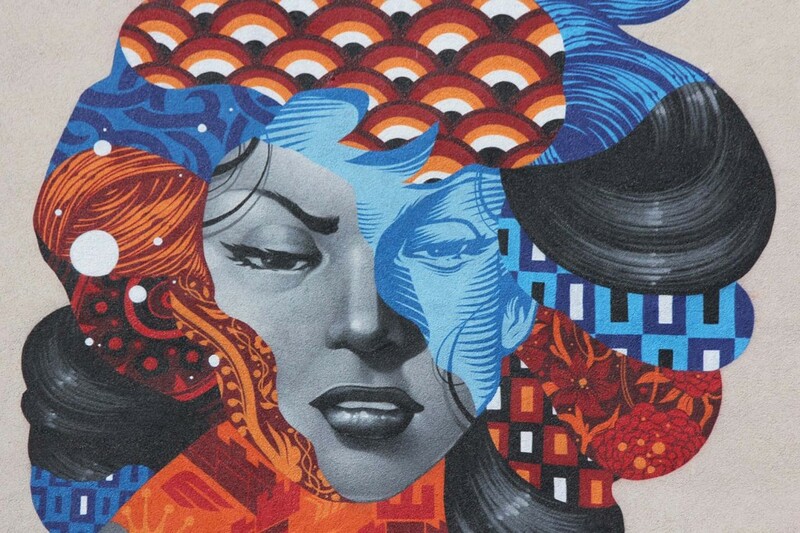 You can see some work in progress shots from the painting of the Attack of the 50 Foot Socialite mural on the Urban Nation Berlin website and find out more about Tristan Eaton and see more of his work on his website and Facebook page.